Scott just called from camp 2. They have been there for a couple of nights with their backs pushed up against the sides of the tent against the wind. He sounds great. The foul days of initial acclimatizing are over. 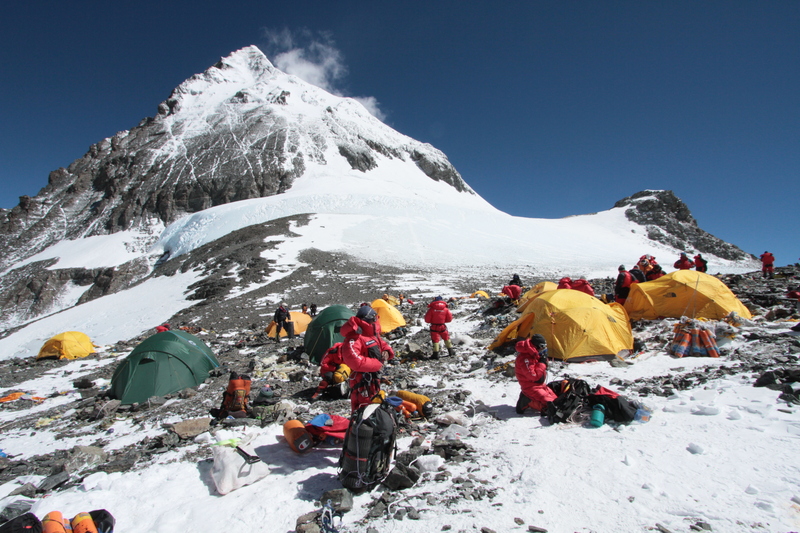 The wind is too strong to go and stay at camp 3 up on the Lhotse Face so they are just going to head up and tag camp 3 today. 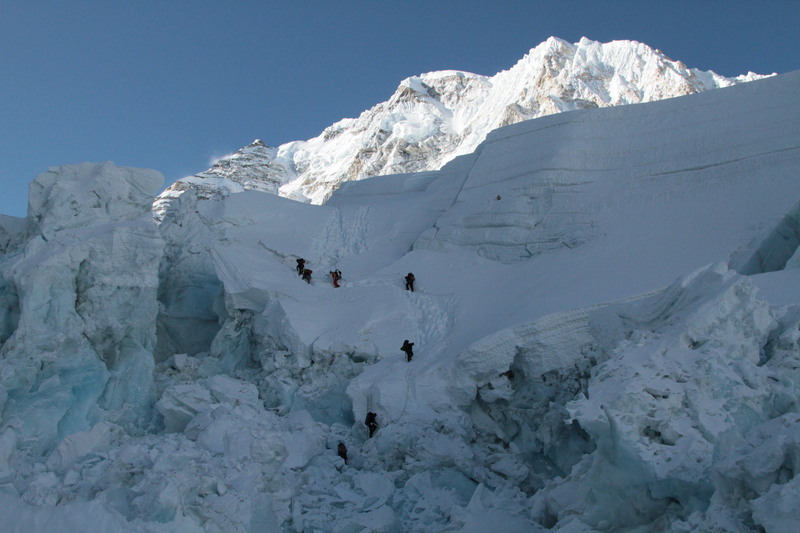 The Lhotse face climbs steeply out of the Western Cwm (“coom”) up to the South Col and camp 4 – the final camp. Camp 3 is part way up the face. It’s over 7000m so is an essential part of the acclimatization schedule. After camp 3 on the actual summit bid, they will start using oxygen. The team should be back at basecamp in 2 days. They will then rest up and wait for the jet stream to back off. The summit bid is likely to be mid-May, which is the gap when the jet stream backs off just before the monsoon. 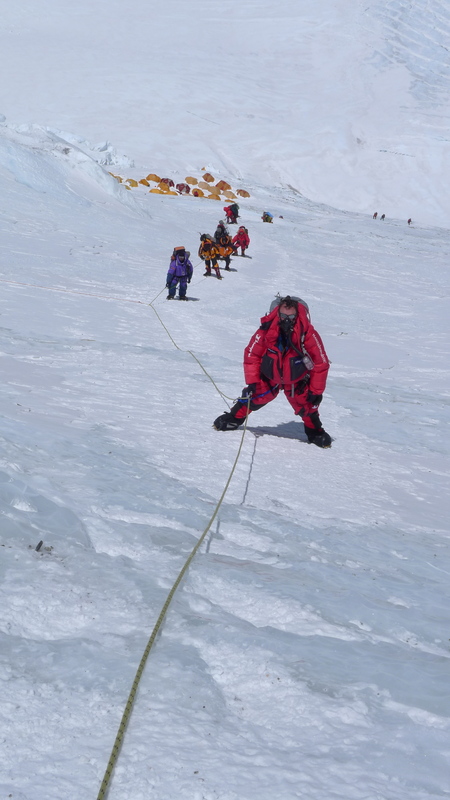 Last time Scott summitted on May 16. Mou Mou (Obie’s mouse) will be joining the summit team. She has elected not to acclimatize and will be making an oxygenless ascent. She is truly a remarkable mouse. Last time Grey Mou Mou went to the summit but has lapsed into depression since because his public speaking career never took off. That could be because he ended up in NZ. Brings back such great memories from my climb and filming experience. Thanks Scottie and Anna for sharing this. Seeing Obie on the Khumbu Trail rocks!!! Scottie, Continue to climb safe and watch out for the Yeti!